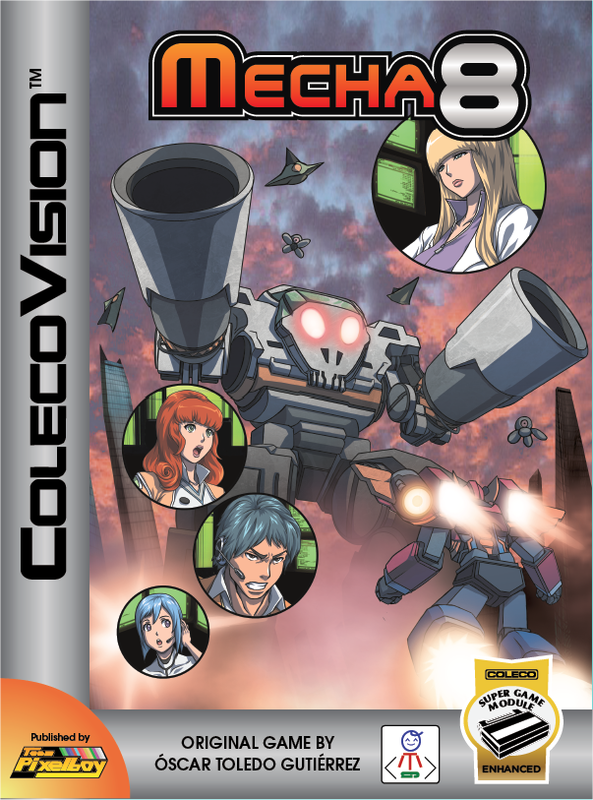 Mecha-8 was first developed on the MSX by Óscar Toledo Gutiérrez as a submission to the MSXdev'11 homebrew game development contest, and it came in fifth place! Afterwards, Óscar vowed to continue working on the game and to eventually release it in MSX cartridge format. 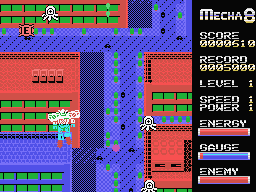 Fast-forward to 2012, which saw another of Óscar's prized MSX creations, Princess Quest, ported to the ColecoVision and published by Team Pixelboy. 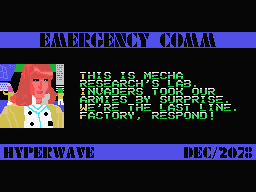 Based on the good working relationship we developed, Óscar showed me Mecha-8 and stated his intention to port it to	the ColecoVision. I had some reservations about the game at first, but in response to my comments, Óscar kept working on the game, and managed to remove all the irritating issues I had brought up. The end result was so impressive in every way that I just had to publish it. And then, Óscar kept on impressing me with each subsequent version of the work-in-progress software. At one point, he even included support for the Super Game Module! 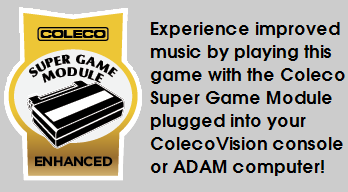 While the SGM is not actually required to play the game, the software can detect the presence of the SGM (if the module is plugged into the expansion port) and uses the MSX music chip in the SGM to produce improved background music throughout the game! This game was completed and released in 2013. 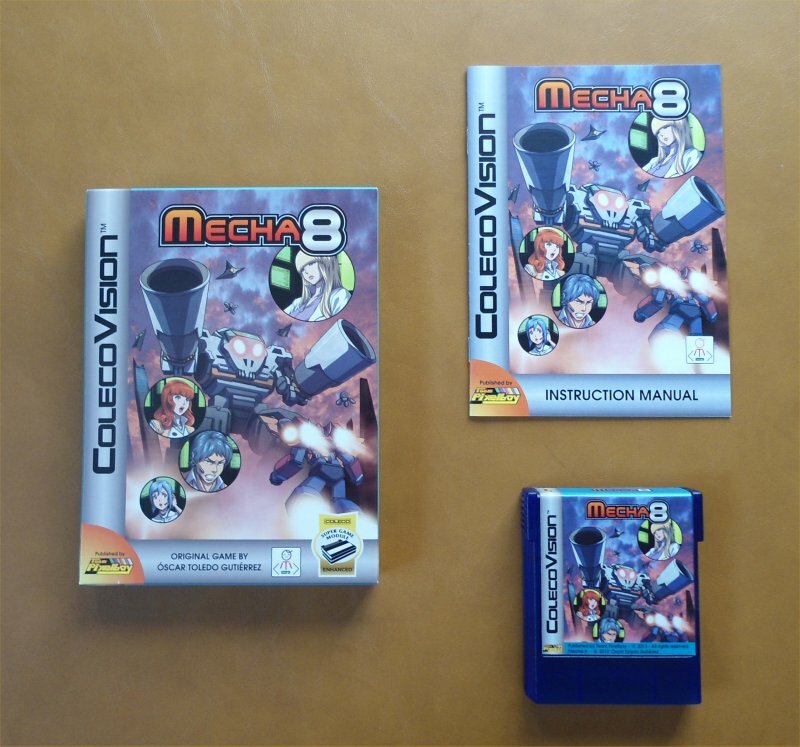 Here is a YouTube video of the ColecoVision version of Mecha-8.